An audit of the most popular musical artists on Twitter suggests they're mostly followed by non-human profiles. In less than a decade Twitter has allowed top celebrities to quickly build up followings of tens of millions of people on the platform, essentially to do with what they will. Twitter has proven particularly effective as a way for musicians to build an audience, with seven of the ten most popular profiles on the network belonging to pop stars. Which is great news for the music studios. Want to push fans to buy your new CD or concert tickets? 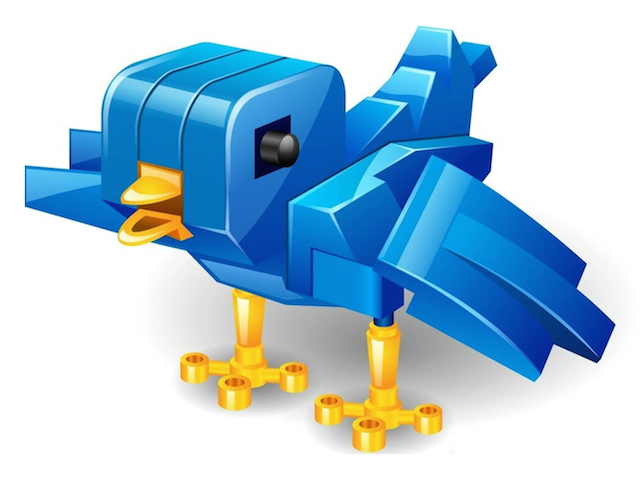 Simply get your top talent to send out a tweet. Perhaps, but a new study has suggested that the influence commanded by musical artists on Twitter might not quite be as large as their numbers could suggest. Take Katy Perry, for example. Perry is Twitter’s most-followed profile, with more than 64 million fans. But according to research conducted by Music Business Worldwide using Twitter Audit, 65 percent of Perry’s Twitter followers are bots. That is, they aren’t real people. And Perry isn’t even the worst offender. Two-thirds (67 percent) of Taylor Swift’s 51+ million followers are also bots. And Justin Bieber (58 percent bots), Lady Gaga (55 percent bots), Rihanna (62 percent bots) also performed poorly in the survey. For the record, Twitter says that bots constitute just five percent of its 284 million active users. That’s 14.2 million profiles. But it’s also true that hundreds of millions of Twitter profiles have been registered that aren’t active users, and many of these are likely to be bots and other non-human accounts. Or even completely inactive accounts that signed up, followed a few top names, and then never did anything again. Which basically amounts to the same thing, at least when it comes to value. Bottom line: these celebrity numbers (of bots) seem high, and they’re probably not entirely accurate. So take them with a hefty pinch. But even if the findings are off by fifty percent, that’s still a worrying number for Twitter. Last month Instagram did a huge purge of its spammers and bot accounts. Twitter does this periodically, but maybe it’s time to really turn up the dial.